Instead of reviewing the books I read I would rather discuss what I liked/disliked about them in hope that others will join me. When I finish a book all I want to do is talk about it with someone but unfortunately my partner, friends and family are not really interested. So I will discuss the books I read through this blog and at least if no one reads them I will get a chance to discuss them with myself. The first book I read in 2013 was R.L. Stine‘s Red Rain. * I bought this book as soon as I saw it sitting there on the shelf. I loved R.L. Stine as a teenager and was curious to see what he could write for an adult audience. The cover was also eye catching and looked creepy. * Evil children have never really frightened me and the book did not exactly scare me, nevertheless it was still an interesting read and the use of short chapters left you hanging to know what was going to happen next. * I liked how the story switched between the characters viewpoints. Lea, Mark, the police and the twins. It kept the story moving and gave you a 360 view of what was happening. * The gory parts were well written without going overboard. I could certainly visualise each death scene. * I particularly liked how he wrote the twins dialogue. You could tell that they had unusual accents and I think that it gave the story depth. I also like how the character of Ira was developed. It was interesting that he was not portrayed as a stereotypical child. * The ending was unexpected for me. I didn’t see Lea’s death coming and the story finished perfectly with the twin’s (Samuel and Daniel) powers being passed on to Axl. Perfect horror story ending with room for a sequel. 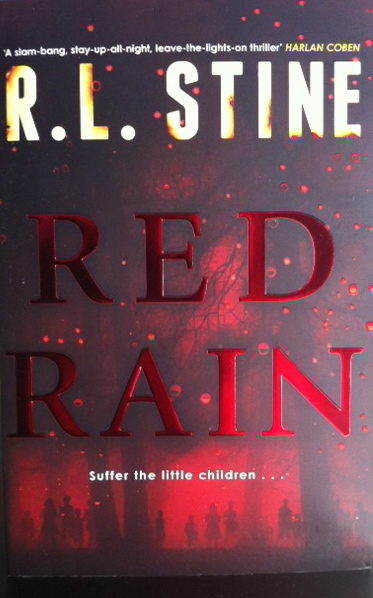 If you have recently read ‘Red Rain’ please comment!